The scariest day of the season is right around the corner. The shelves are lined with candy, costume shops are popping up in malls, and children are patiently waiting for the night when they are free to roam the streets dressed as zombies, witches and superheroes. While ghoulish garbs and haunted houses are welcome and encouraged on Halloween, real scares are not. Here are a few tips from the Electronic Security Association (ESA) that can help keep your family safe from danger while trick-or-treating this year. It’s important to plan your family’s Halloween outing in advance to avoid costume mishaps, dangerous routes and health hazards. When selecting costumes for your children, choose outfits that fit close to the body. Trailing material can be tripped over, stepped on or catch fire. Avoid dressing your children in dark clothing that is difficult to see at night. Steer clear of accidental injuries by opting for costume accessories – such as swords or knives – that are soft, flexible and short. Always make sure masks fit properly and are easy to remove. Ensure the eyeholes are large enough and that the mask is breathable. Plan your family’s route to avoid construction zones, neighborhoods near highways and other dangerous areas. Follow suggested trick-or-treating hours or attend special events with designated activities in your community. Check with your city for more information. Eat a healthy meal prior to your night out to prevent your children from snacking on unexamined candy before you get home. Trick-or-treating is a fun tradition that has been around in North America since the 1950s, and a stomach ache isn’t the only threat to participants. Unfortunately, Halloween is a time when pedestrian car accidents are at their peak, so it’s important to use caution while out and about. Never allow young children to go trick-or-treating alone; they should be accompanied by an adult at all times. If you are allowing your older children to go trick-or-treating unsupervised, set safety ground rules and enforce a curfew. Stress the importance of using caution when walking from house to house. Make sure children utilize sidewalks, look both ways when crossing streets and never dart out into roadways from between cars. Outfit your children with flashlights, glow sticks or reflective tape to make them more visible to night-time drivers. Keep suspicious snacks and upset stomachs at bay with these tips after you return home. Examine your children’s treats before allowing them to enjoy their goodies. Look for choking hazards and unsafe toys or treats. Be on the lookout for candy that has been altered. Signs of tampering include candy that is unsealed or has been re-wrapped. Only allow children to eat factory-wrapped candies. Dispose of homemade treats given by strangers. To avoid stomach aches, limit the amount of candy your children consume over the next few days. 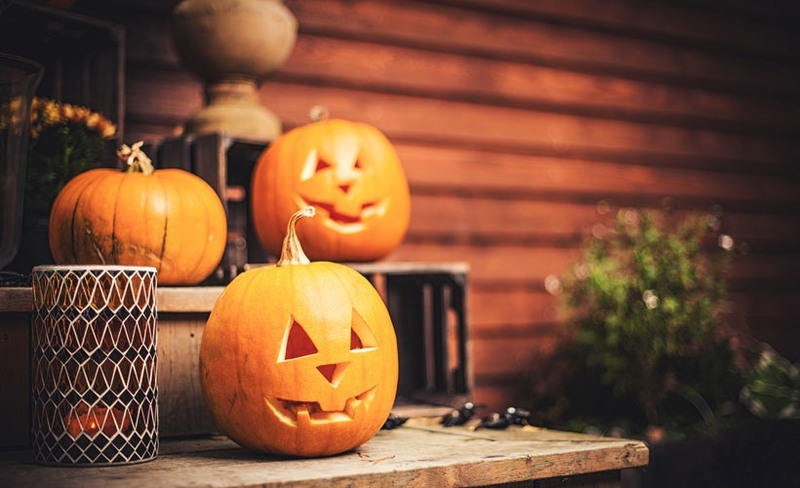 By using these safety precautions, you can help your family have a safe and “spooktacular” Halloween to remember! For more safety and security information, please visit www.alarm.org.